So, I'm ready for the rainbows of spring. 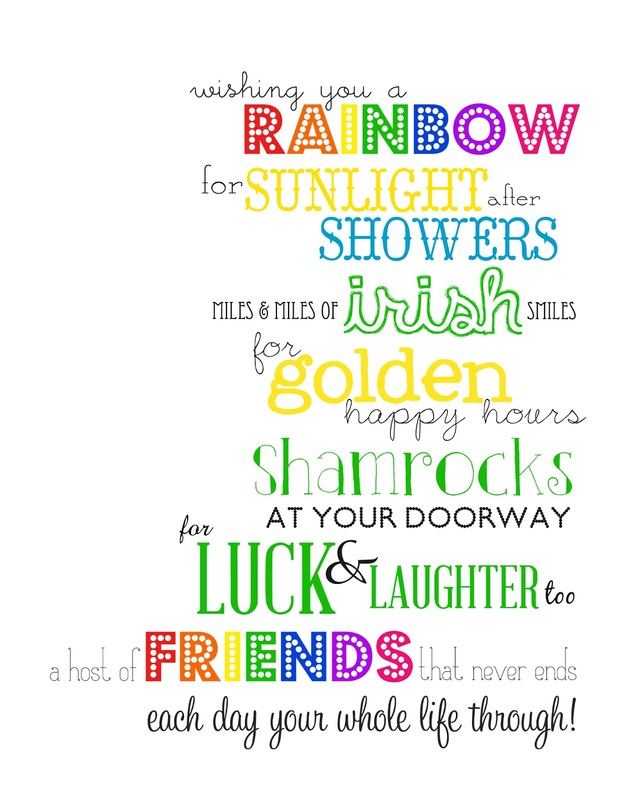 Have you decorated for St. Patrick's Day or do you go straight to Spring? I like to do a little bit of both. 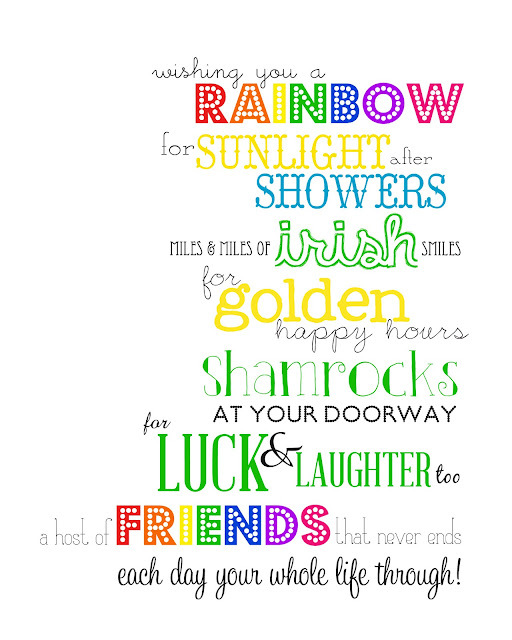 So here's an Irish Blessing to bright your home! It's an 8x10 print and you can find it HERE! This is so fun Kyla!! I love how bright and cheery it is! Love this printable, thanks so much for sharing!